~ by admin on Jan 14, 2013. 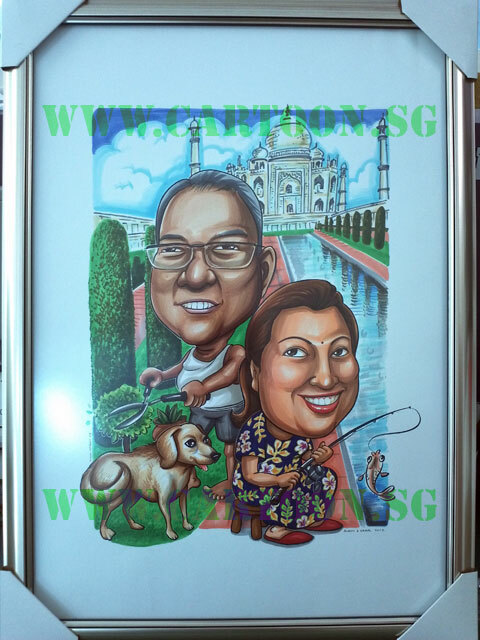 The customer placed a caricature order for her parents’ 25th wedding anniversary as a gift. 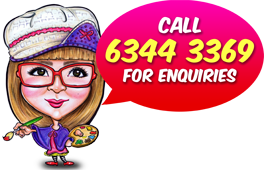 As her parents would be going to the Taj Mahal for their wedding anniversary trip, she decided to have it as a theme for her parent’s caricature and gave us a couple of specifications to work with. She wanted them to be clad in their comfortable home clothings with her father doing gardening while her mother fishing at a pond. She wishes to include their family golden retriever in the caricature as well. At the background, there is the tour destination which is the Taj Mahal.